22-Year-Old Gymnast Opens Up About Her Career-Ending Fall“I thought I had just hyperextended my knees until I looked down and that wasn’t the case,” she said on TODAY. Someone Tackled Bret Hart at His WWE Hall of Fame InductionBret “the Hitman” Hart should no longer be hit. Please don’t do it. The ‘Miracle Mets’ Golden Anniversary Nostalgia Books Are Worth the PriceJust in time for the home opener, several accounts of the glory of ‘69. Report: Conor McGregor Under Investigation for Sexual AssaultThe UFC star has reportedly been named in a case in which a woman was raped at a hotel outside Dublin. Two Women’s Soccer Stars Are Getting MarriedAli Krieger and Ashlyn Harris secretly dated for nine years. Losing Ain’t What It Used to BeIn sports, losing is as natural and inevitable as time or death. Everyone loses, eventually. But the way our culture treats our losers has changed. Scandale! Competitive Bridge Walloped by Doping AdmissionThe reigning bridge champion has admitted to taking testosterone and a fertility drug. Lindsey Vonn Retires From Skiing With One Final MedalShe won a bronze medal in the final race of her career. Lindsey Vonn Crashes During One of the Last Ski Races of Her CareerJust days after announcing her retirement due to devastating injuries. Steven Soderbergh’s High Flying Bird Is Compelling Despite Its Narrative FlawsThe storytelling is unshapely — there are plot gaps and it never locks into a rhythm — but the film has a sense of mournfulness that seeps into you. Lindsey Vonn Is Retiring From Skiing After Devastating Injuries“My body is broken beyond repair,” the Olympic gold medalist wrote. Put Gisele in the GameA modest proposal. 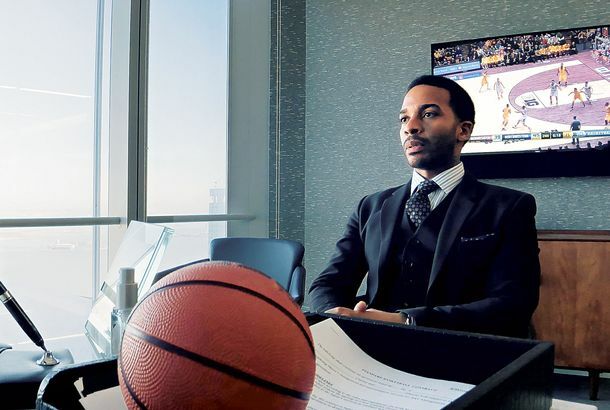 The Most Radical Sports Film I’ve Ever SeenSteven Soderbergh’s High Flying Bird takes aim at the whole system.